In the last postcard, I mentioned the appalling story of the woman from central Papua New Guinea who was murdered on the grounds of sorcery. 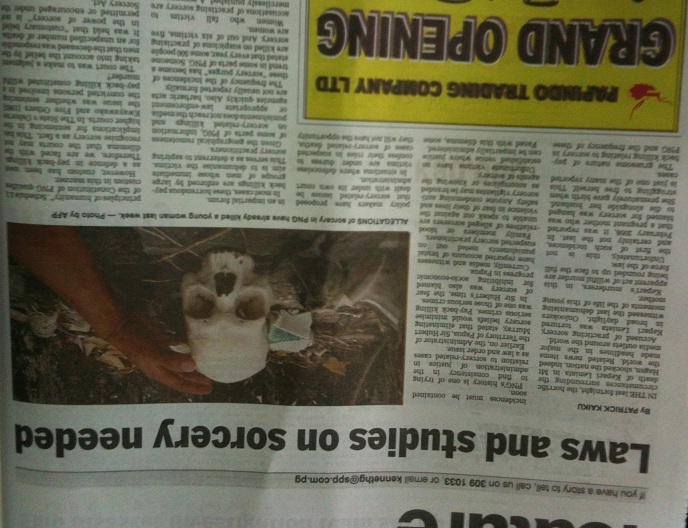 This has attracted a lot of attention in the media both locally and around the world. In the midst of this heartbreaking story there are some glimmers of hope. Firstly, the murderers are being found and brought to justice; such as it is in this country. Secondly, the movement to stop violence against women gained some momentum. There was a protest in the streets of Port Moresby this week called “One Billion Rising” to make a statement against violence. The Attorney General attended and spoke of the need to create a society in which it is safe for women to walk the streets freely and without fear of harm. 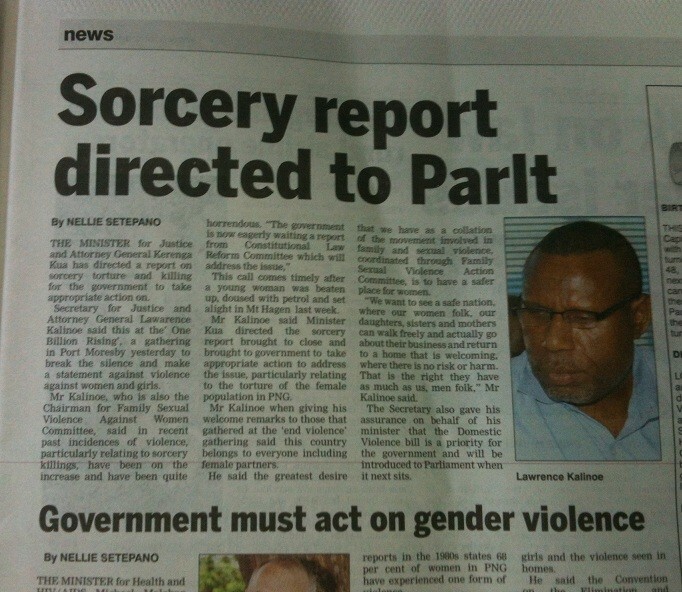 There is also talk of repealing the outdated Sorcery Act of 1976. This is actually exists – there really is an active piece of legislation called the Sorcery Act. 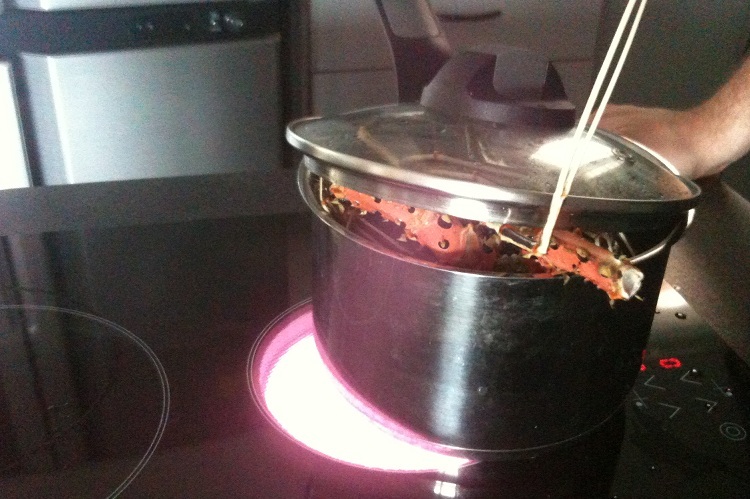 In the Act, it makes the important distinction between black magic and white magic – you know like the witches of the North and South, versus the bad witches of the East and West. Among the proposed ideas is a separate Court Administration to deal with Sorcery-related issues. Well, at least this call for legal reform is a small step in the right direction along the path to enlightenment. The tragedy in all of this is that superstition and ignorance take a huge toll in this part of the world. 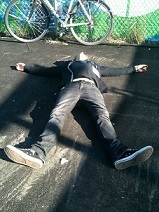 Just this week, my colleagues were mourning the death of a manager named David. He died of Tuburculosis, which is a disease that is now completely curable. There is a Non-Governmenal Organisation (NGO) here that treats TB for free, so David’s death was completely preventable. It is rumoured that he had been ill for some time but had not sought medical attention because he believed that his ailment was caused by sorcery. David was very well-liked in the office because he was known for impersonating Michael Jackson. I’m told that he had the red jacket and the glove and did quite an authentic portrayal of the late M.J. I’m sorry to have missed it. 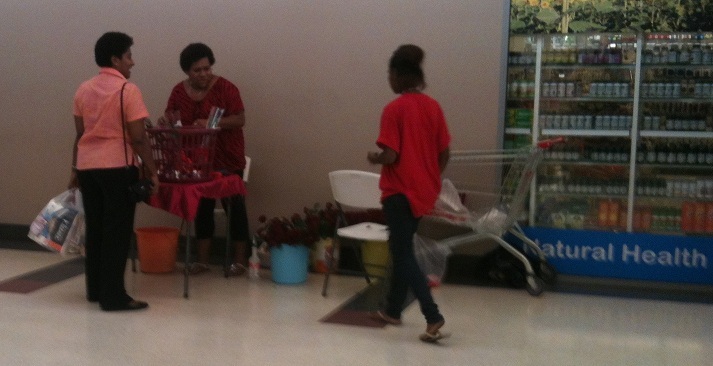 Valentine’s day came and went with barely a flutter in Port Moresby. The massive store displays of pink and red love hearts were non-existent. There was only one sign to indicate that the 14th had arrived and that was a stall selling red roses outside one of the supermarkets. No doubt this will change over time, but it was nice to see that the rampant consumerism of Western Culture has not been completely embraced in this country. Not yet at least. 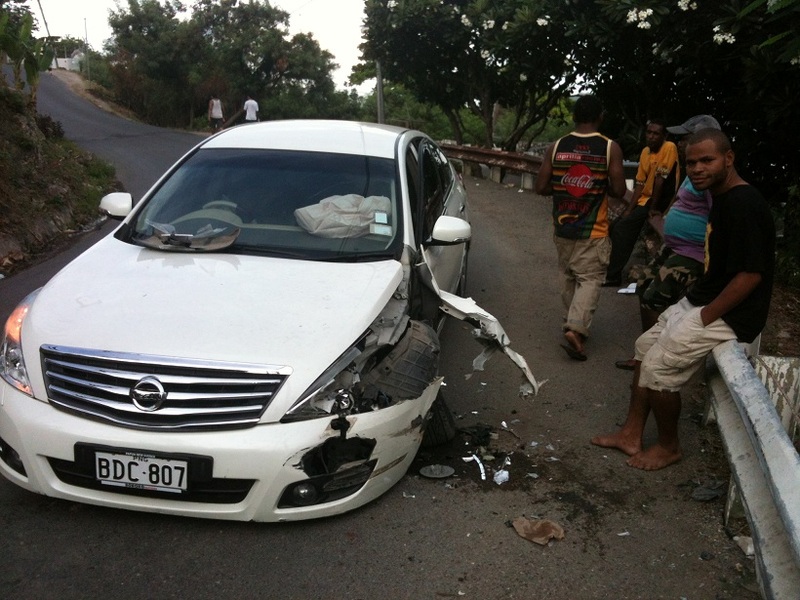 Another PNG moment: I was walking to the gym yesterday morning and happened across this car accident along the way. Apparently, two guys had been out for a night on the town and in the middle of the night they had lost control on this bend. The car was not drivable and so they were waiting around for the vehicle to be towed. 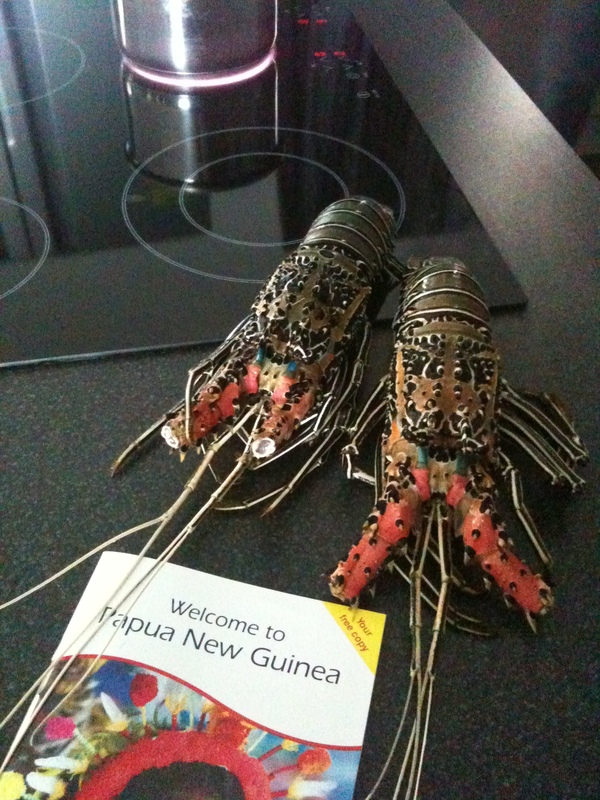 I thought that for today’s postcard, I would give you some insight into the food situation here in Papua New Guinea. There is a saying that “You are what you eat”. Well, if that is true then I am mangoes. Because I eat a LOT of mangoes here. Two or three per day, most days. The local mangoes tend to be small and stringy but still taste great. The larger supermarkets carry larger ones (mango size seems to be proportional to supermarket size) and they are amazing. They are not labeled as organic but they probably are – they have a wonderful bright orange colour and are bursting with flavour. When I can find them, I usually buy about ten at a time. Sometimes I pick them up from the little fruit stalls by the side of the road. They cost about fifty cents each. 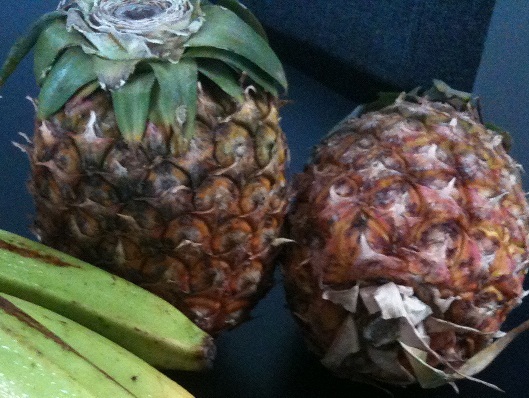 I also buy a lot of the little grenade-sized pineapples. They are the perfect size for a snack. I usually eat one of those per day. 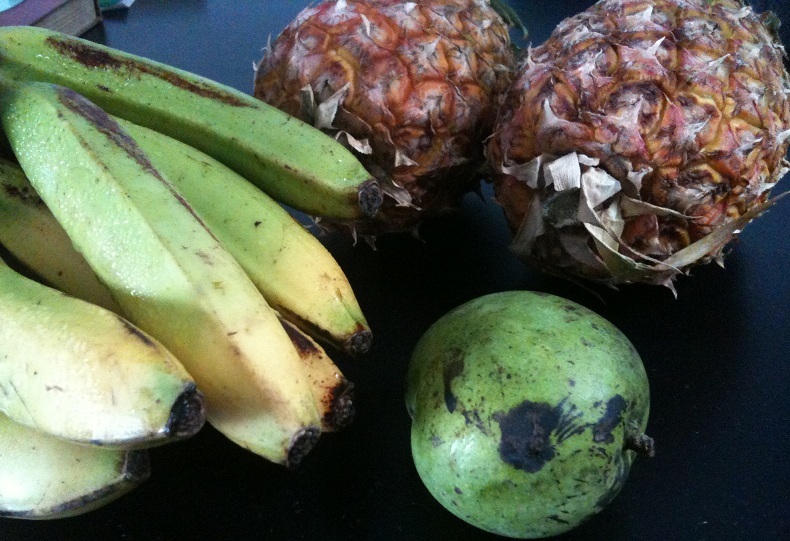 Managing fruit in the tropics is proving to be tricky. A piece of fruit left out in the heat will sometimes go from too green to eat in the morning to too spoiled to eat by the same evening. So I have developed a complex rotation algorithm to assess the fruit in my inventory and move it to the optimal place on the bench or in the fridge. It’s all very scientific. All of this only applies to the local fruit of course. The imported fruit has all been irradiated and so it lasts a disturbing amount of time. We had an orange in the fridge that was still perfectly edible after a month, defying all the laws of nature – the Jackie Chan of the citrus world. There are other daily perils faced by my fruit stash. I lost a pineapple the other day because ants had tunneled right through the thick hide and established a colony inside my pineapple. That was a sad day indeed. But of course, man cannot live on fruit alone. I am hitting the gym six times per week, so I also need some good sources of protein. 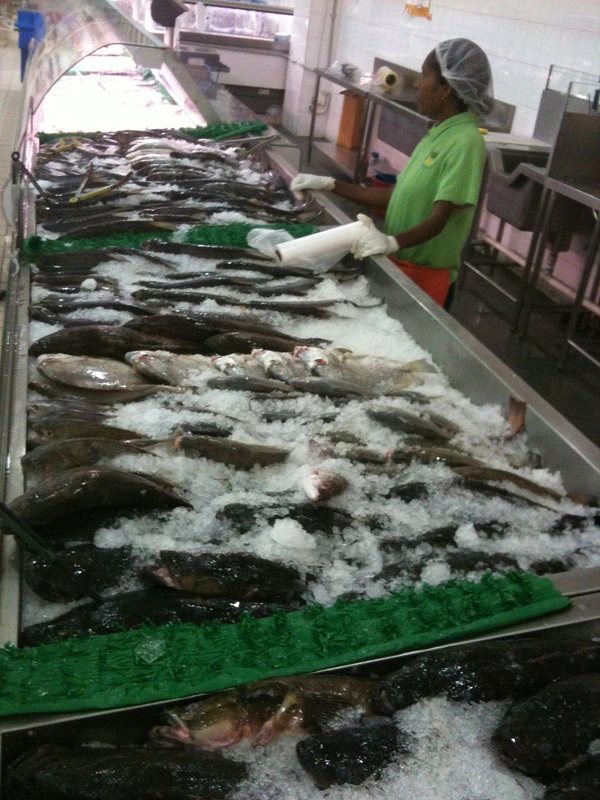 Fortunately, there is an abundance of cheap seafood at my disposal. 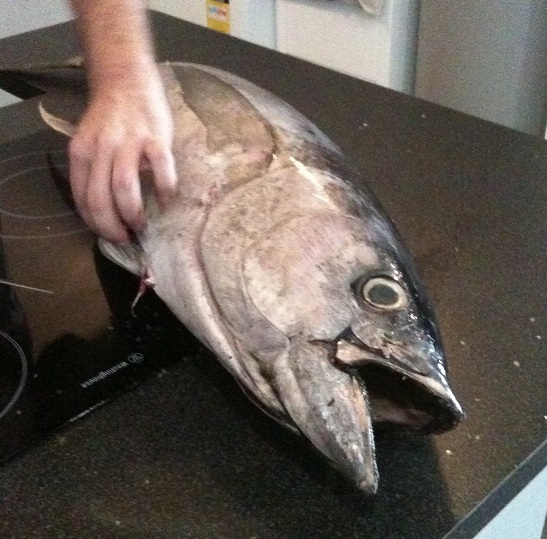 This week, Owen had been keeping an eye on the tuna being sold on the street near our office and decided to buy one. 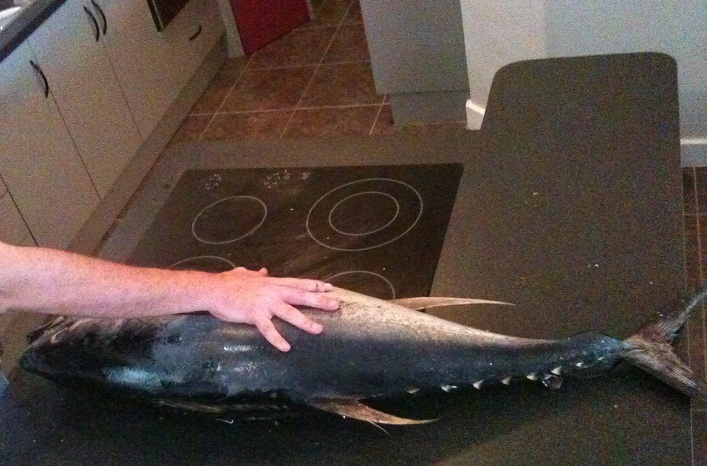 We collected it on the way home – a tuna about a metre long that weighed about 25 kilogrammes. 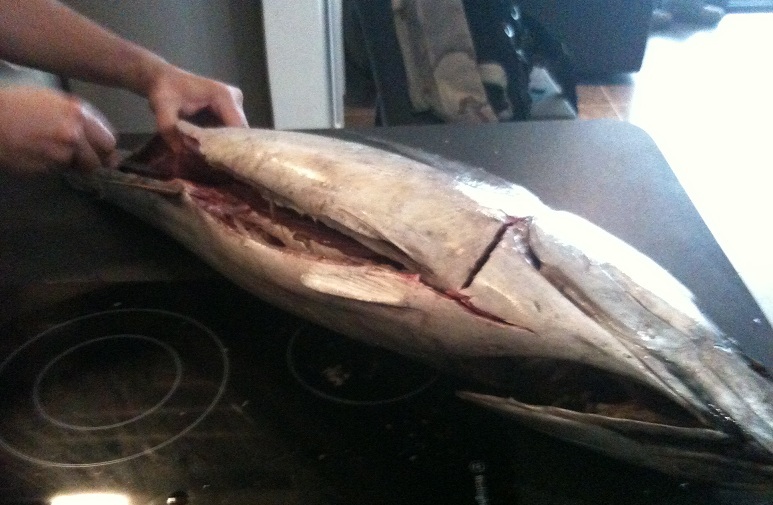 It cost us 80 Kina – about $40, and it yielded about 7 kilogrammes of sushi-grade tuna. Of course, the downside is that we had to drag it back to the man cave and butcher it. It bled in the back of the car and all over the floor of the house. 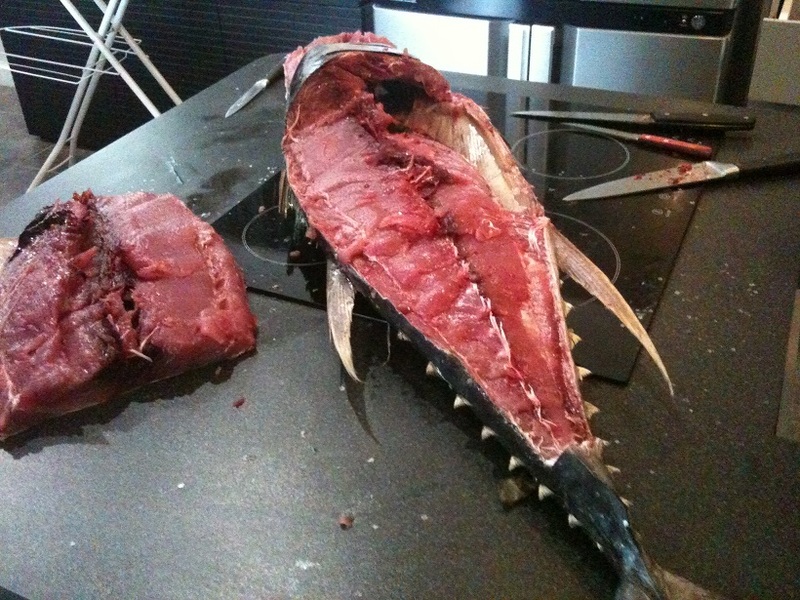 The butchering took a good hour and left the kitchen devastated – fish scales and chunks of tuna splattered all over the place. And it is not like I don’t have the occasional indulgence. 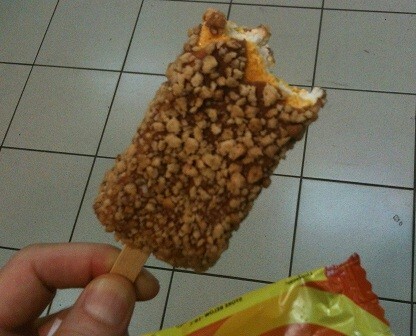 This week, I introduced Owen to my favourite ice cream from my childhood – the Street’s Golden Gaytime. 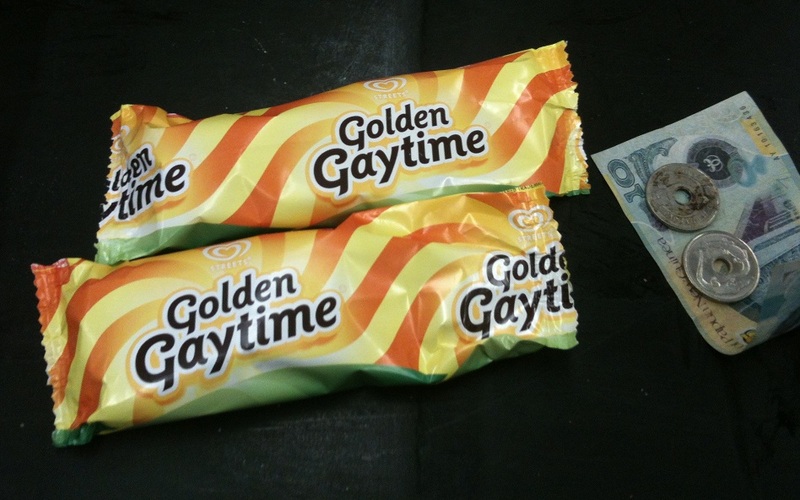 I bought him one because I had heard him make a few comments about how he was curious to experience a Golden Gaytime. They cost 6 Kina each – about $3. We ate them on the spot – devouring the chocolately goodness with relish. 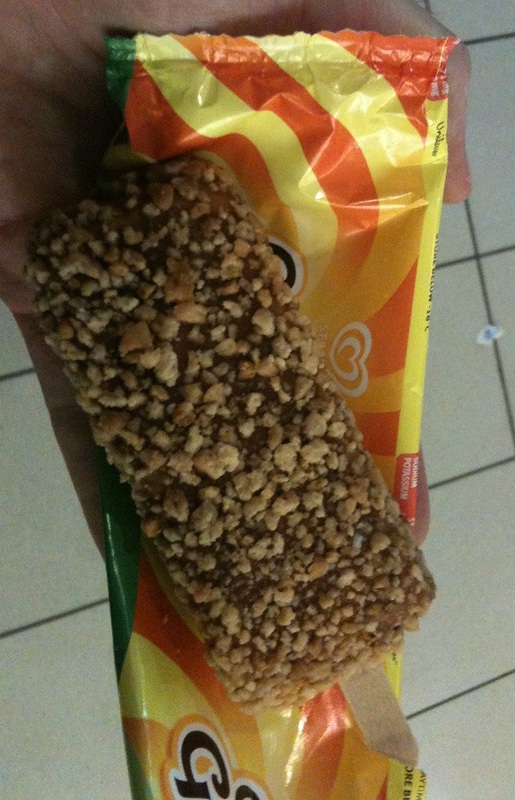 He was disappointed with the Gaytime in the end. Not quite his cup of tea. But I thought mine was splendid! Of course I won’t be doing that every day given that they have about 1,000 kilojoules each (234 kilocalories), which is as much energy as one and a half cans of Coca-Cola – gobbled up in about 2 minutes. 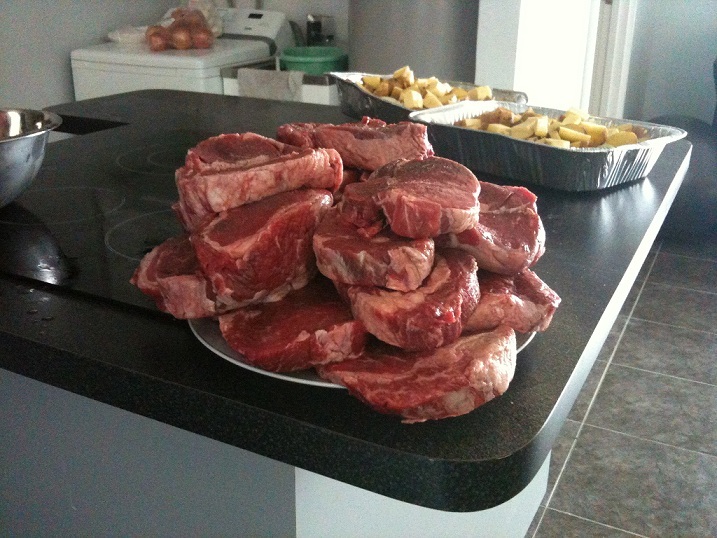 We had a few friends over for BBQ steak night recently. It’s kind of like living in a Frat house. We generally eat dinner at the man-cave, but lunches are usually procured somewhere close to the office. One of the restaurants at which we eat most weeks is a place called “Asia Aromas”. Of course, that is too much effort to say repeatedly, so we tend to switch the word ‘aromas’ with the synonym ‘smells’, and abbreviate the name to “Asia Smells”. One of the things that I don’t like about Asia Smells is that they only serve white rice. Both Owen and I always try to eat only brown rice. So I have been avoiding any dishes with rice in them, or just not eating it. 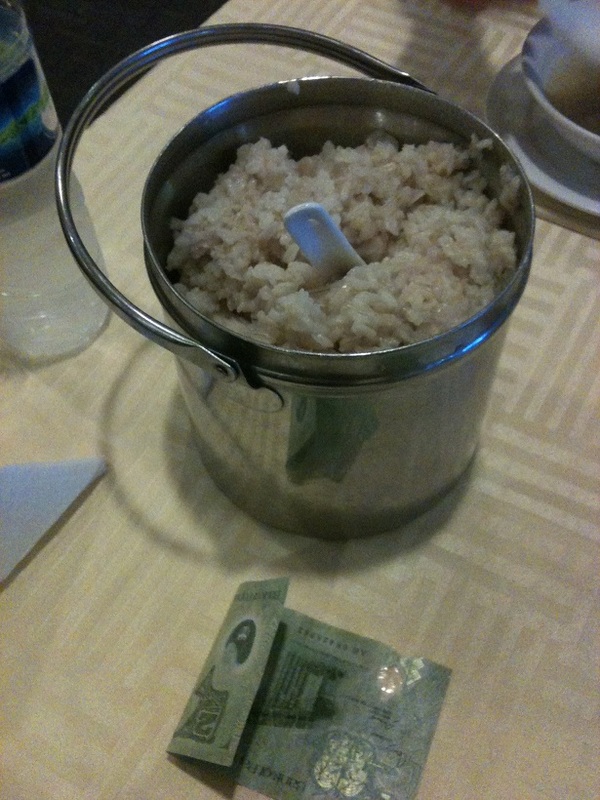 However, I decided to try my luck this week and I enquired about having Asia Smells introduce brown rice to the menu. That idea crashed and burned. “Sorry, no. We can’t buy brown rice here”. “Hmmm. I’m not sure. Maybe”. I took that as a “yes” and proceeded to buy a bag of long-grain brown rice that evening. The next day, I turned up at Asia Smells at around 10:00 and presented them with a bag of brown rice. The manager is a nice lady but she was reluctant to help out. In the end she gave me a highly non-committal, “We’ll see what we can do”. Owen was with me at the time, and as we left he said, “There is no way that we’re eating brown rice today”. We made a wager of 2 Kina (about a buck). Then, at lunch time when we arrived, I asked about the brown rice. The manager’s response was confusing – “Please take a seat sir, we will be with you shortly”. So did that mean that she didn’t cook the rice for me and wanted to explain? But then a few minutes later, miraculously, the brown rice appeared in a big tub – enough to feed a cruise-ship full of stranded American tourists. So I was able to have my meal with brown rice. I also won the bet and restored my faith in humanity in the process. The rice tasted extra sweet that day. PS: Keep the comments on the blog coming. I really appreciate them. If you register with the site, or just leave an email address when you comment then you’ll be given the option to receive notifications whenever a new post appears. Always entertaining. I’m glad you offered a picture of the Golden Gaytime. These quotes would have had me guessing.! Exactly! I’m pro-ice cream in all of its forms – including non-traditional ice creams. Chris, thanks for the follow up on the disturbing story. And good job providing details about food, environment, people, etc. You’ve peaked my interest in your complex rotation algorithm. Hi Effie! Well, it’s just about finding the right place at the right time. I have a big silver bowl where the pineapples start when they’re green. Then they move to the top shelf of the fridge as they ripen (greenest to the back). The fruit that’s about to be ready goes to the door shelf. Then some of it is cut up for consumption that day. Bananas come to work slightly green and ripen on my desk. It could be more complex – some fruits emit pheremones that can trigger the ripening of other fruits. I don’t get that complicated – I just bundle them together and then gobble them up when they’re ready!